Columbine shooter’s mother says she prayed for son’s death. 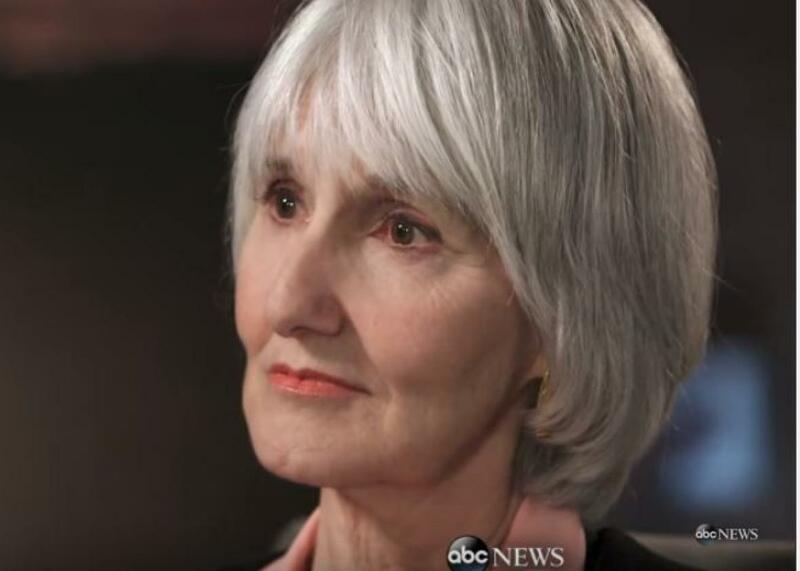 Sue Klebold sits down with ABC News’ Diane Sawyer for an interview that aired on Feb. 12, 2016. The mother of Columbine High School shooter Dylan Klebold is breaking her silence and speaking to the media ahead of the release of her memoir, A Mother’s Reckoning, on Monday. In an interview with ABC News’ Diane Sawyer, Sue Klebold said she had no idea there was anything wrong with her son before the 1999 attack. In fact, Klebold insists that before Dylan Klebold and Eric Harris began a shooting ramapage that killed 12 fellow students and a teacher she thought she was the kind of parent who knew her kid and would have known if something was wrong. Coming to terms with the feeling that she didn’t really know her own son was one of the most difficult aspects of the mental turmoil that followed her around after the shooting. During the interview, Klebold also recalled how she prayed for her son’s death when she first heard of the attack. Although that may have been her first reaction, Klebold also told the BBC it took her a while to really accept that her son had been a cold-blooded murderer.